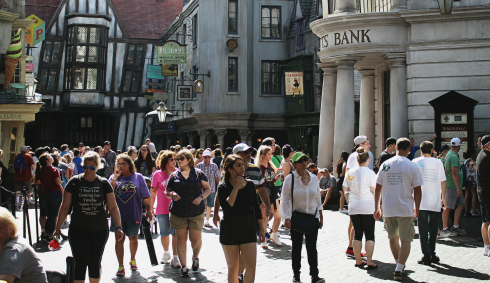 The work that was done to bring The Wizarding World of Harry Potter to life at Universal Studios in Orlando, Florida is as imaginative, magical, and incredible as anyone could have possibly hoped for. 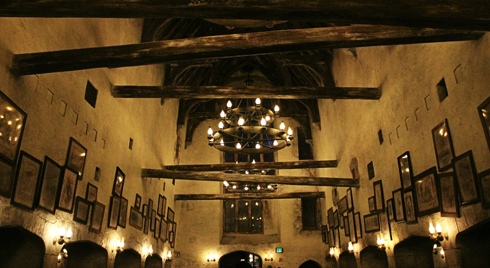 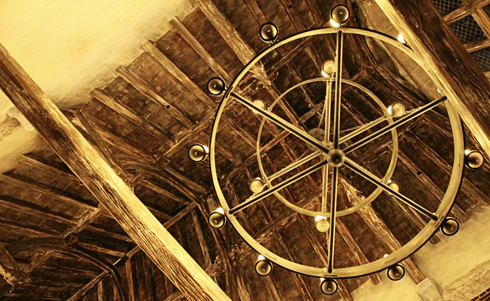 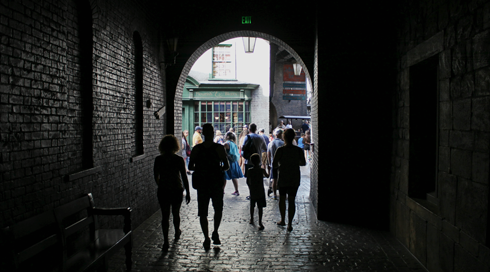 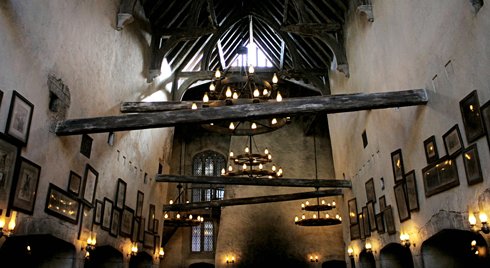 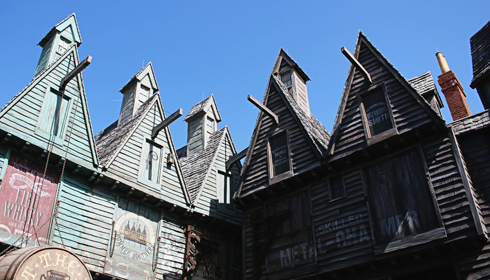 The moment you wander behind the Leaky Cauldron and enter Diagon Alley, you'll quickly find yourself swept up in the excitement and character of this immersive world. 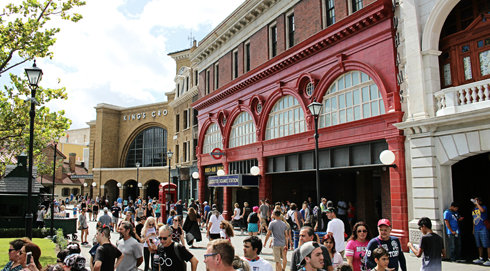 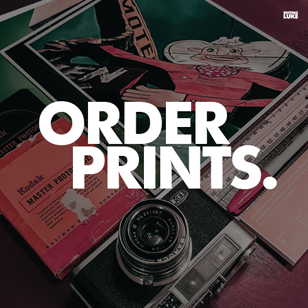 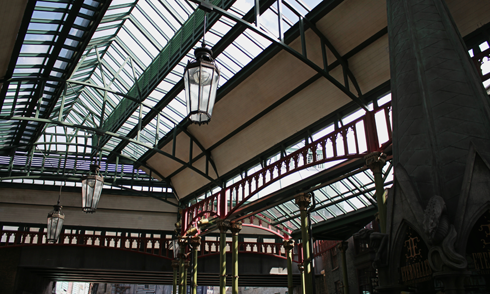 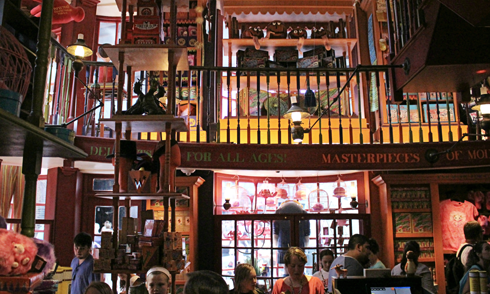 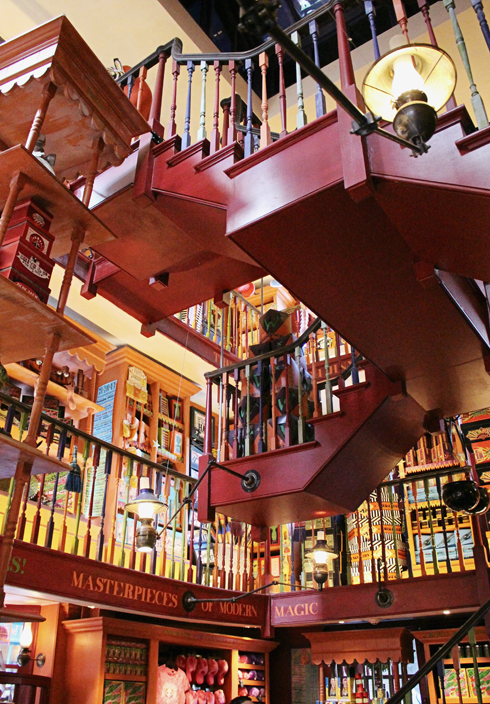 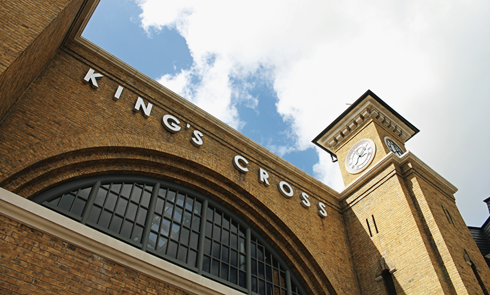 From the bustling activity along Diagon Alley to the souvenirs that fill each of the equally themed shops, the detail of it all makes this world a blast to explore (and this is coming from a decidedly casual Harry Potter fan). 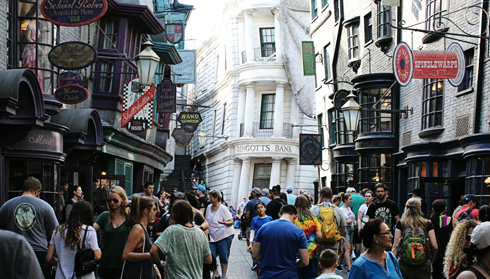 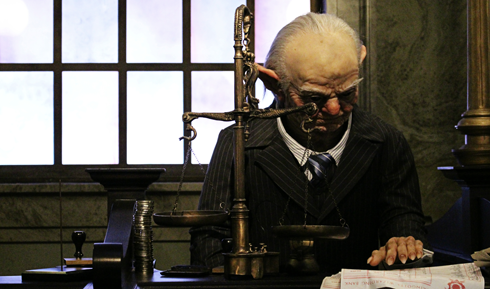 We tried Butterbeer, enjoyed the ride in Gringotts Bank, and bought a wand at Olivanders to animate the interactive displays found around Diagon Alley. 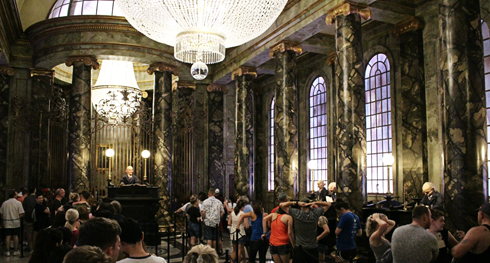 As the crowds thinned out in the evening we had a lot more space to appreciate the thought that went into each of the locations. 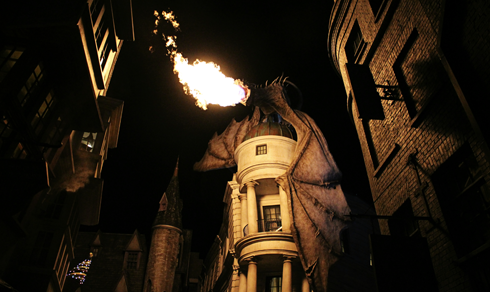 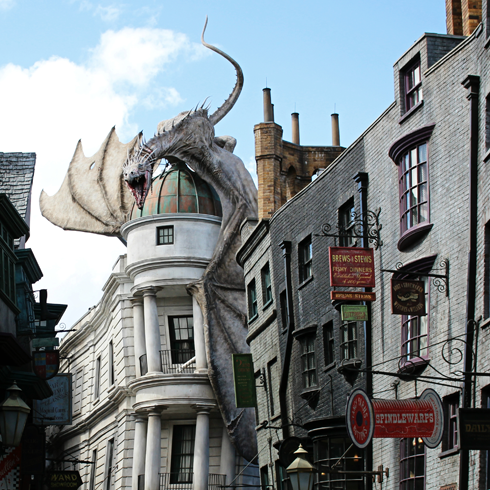 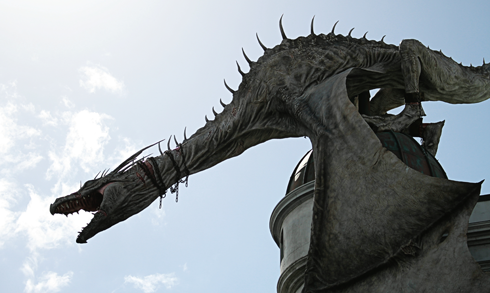 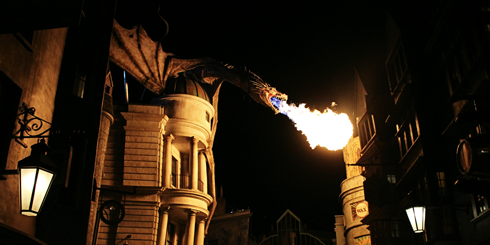 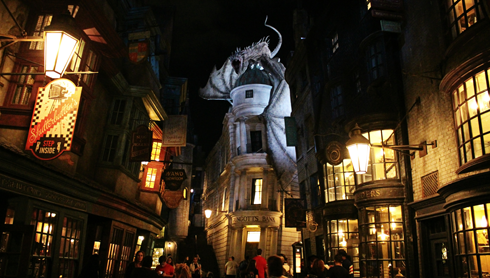 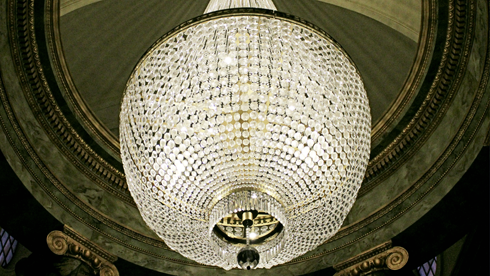 A growl from above was our cue to turn around and catch the dragon perched on Gringotts spew fire over our heads. 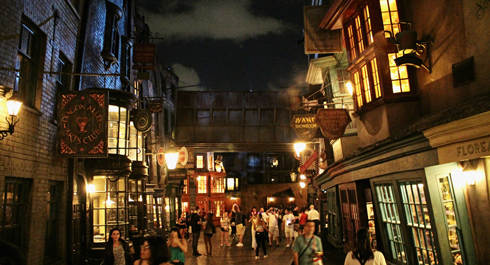 And this was just the beginning. 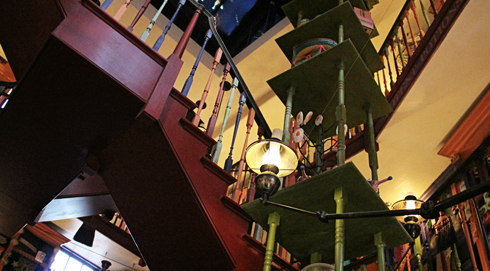 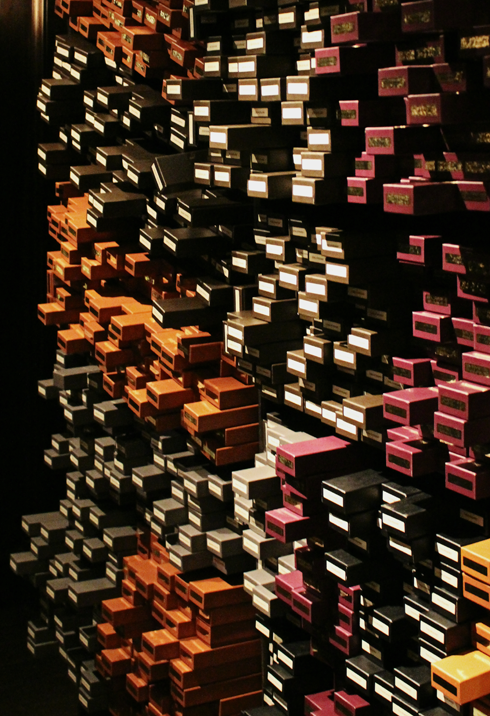 Stacks of wands inside Olivanders. 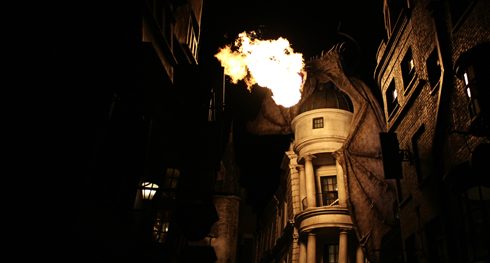 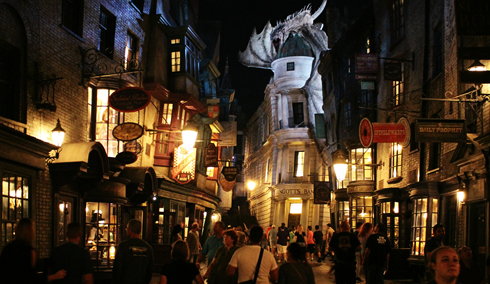 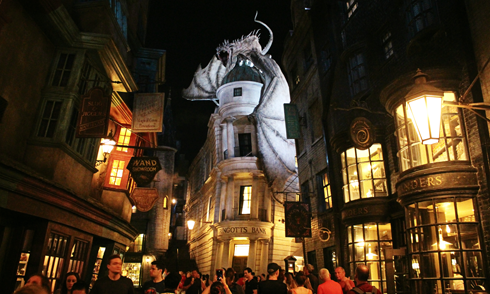 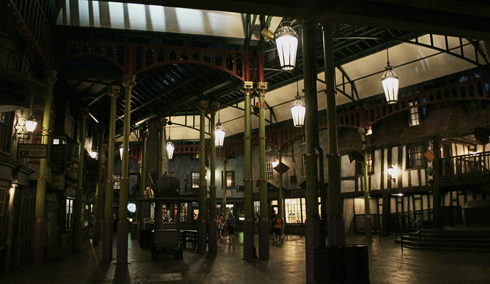 The dragon above Gringotts breathes fire at intervals throughout the night. 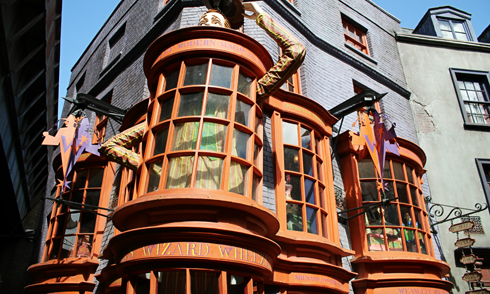 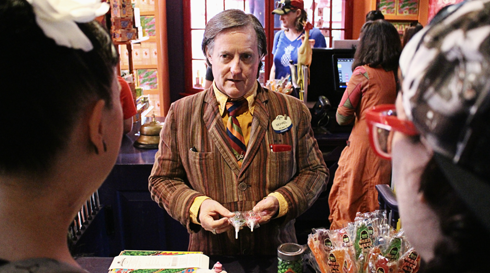 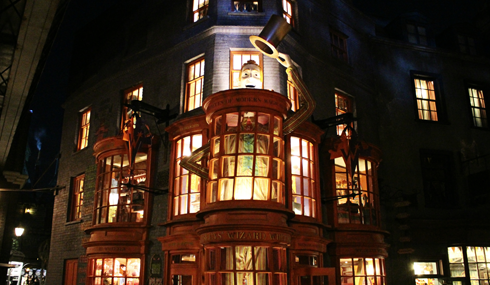 Weasley's Wizard Wheezes in Diagon Alley. 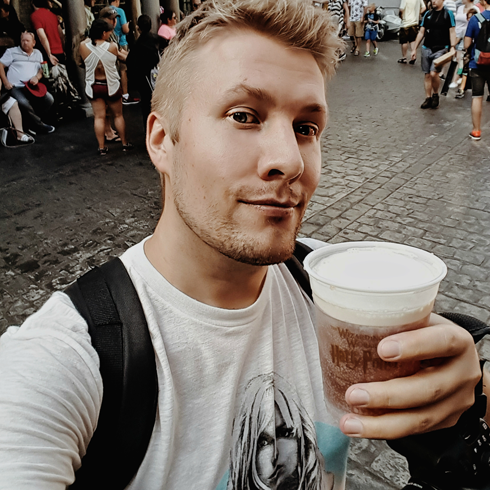 Enjoying my very first taste of Butterbeer.